OKCupid announced yesterday it had been messing with us —far more intrusively than Facebook had been . Among other things, the online dating site deliberately told some users they were great matches when they were in fact awful matches and vice versa. The whole scenario recalled for me, of all things, a 1998 romcom about missed connections. 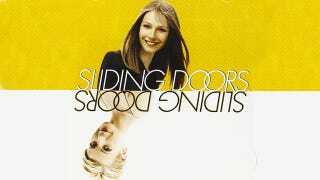 There was no OKCupid in 1998 of course (there was, however, Match.com), but Sliding Doors is a romcom with a good, old-fashioned missed connection. A pre-GOOP, pre-Coldplay Gwyneth Paltrow is fired from her job, and she runs to catch the train. Scenario 1: she makes it just in time, meets a dark-haired stranger on the train, and gets home to catch her cheating boyfriend in flagrante delicto. Scenario 2: she missed the train and never finds out. The two story lines play out in parallel, handily delineated by Gwyneth's different hairdos.